Availability: This product is discontinued and no longer available for purchase. For alternatives browse our Tennis Clothing department. 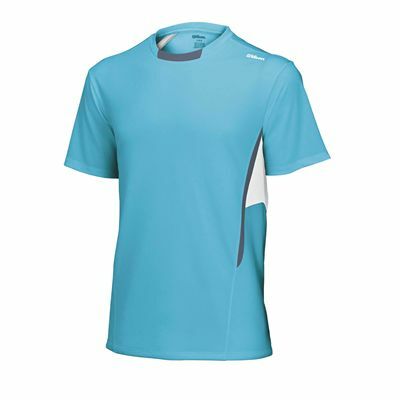 The Wilson SS Crew T-shirt is a stylish piece of clothing designed to provide the player with optimum comfort during the game. This short sleeve men’s T-shirt with crew neck is made of 100% polyester knit. It features contrast mesh insets at lumbar and back cooling zones that ensure ventilation to help the player stay cool even during a very intensive game. for submitting product review about Wilson SS Crew T-Shirt.